Easy changing poster system with a magnetic poster pocket. 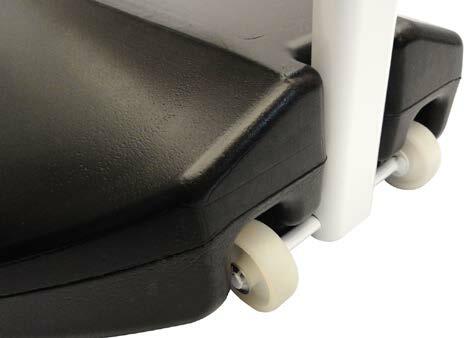 Also features a wheeled base for wheely quick transportation. Fits 20″ x 30″ posters. Looking to display fast changing messages outdoors? 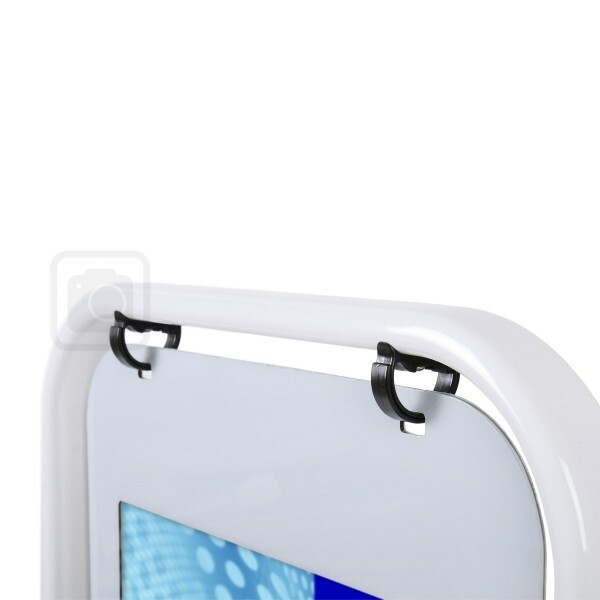 Choose our 20″ x 30″ Magnetic Swing Sign to display your poster material outdoors. 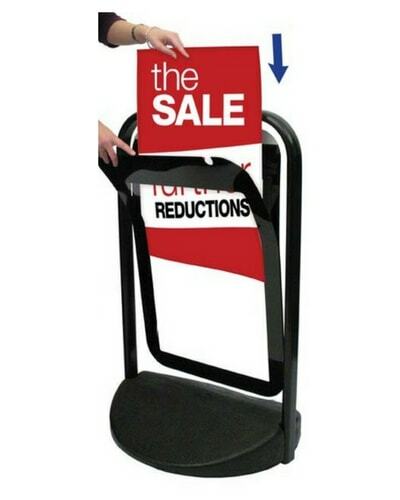 Featuring an easy open magnetic poster pocket, you can change your graphic in under a minute! The powder-coated steel frame is available in black or white finishes. 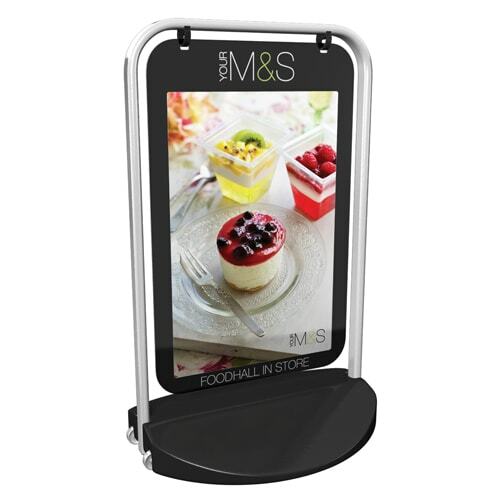 This practical pavement sign also has a wheeled base for quick and easy set up and transportation. For more outdoor displays, see the rest of our pavement signs. Magnetic Swing Sign - 20" x 30"
Open poster pocket and insert poster.